Dave Pagliarini at the National Press Club. 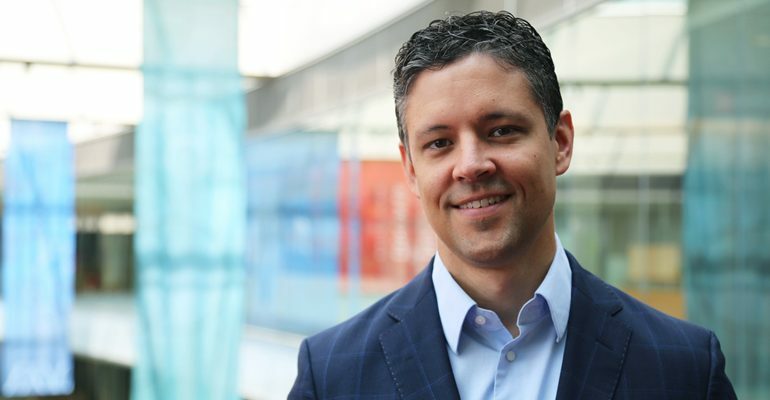 Pagliarini, director of the Morgridge Institute metabolism team and UW-Madison associate professor of biochemistry, and about 40 other U.S. scientists being honored May 6 had some time to get familiar with the iconic residence before meeting President Obama. They received another surprise when President Obama arrived with Amazon CEO Jeff Bezos, a big advocate for science. 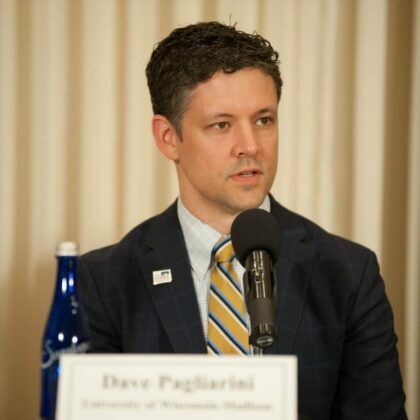 Pagliarini also participated in a roundtable discussion with journalists on May 5 at the National Press Club. The event, sponsored by The Science Coalition, brought journalists together with early-career scientists and engineers from fields such as energy, agriculture, defense and engineering. The PECASE is the highest honor bestowed by the U.S. government on science and engineering professionals in the early stages of their independent research careers.